The L.A. Times has a touching story on how Juan Romero, the teenage busboy who cradled RFK's head after he was shot, now thanks to a school teacher from Germany no longer dreads the month of June. 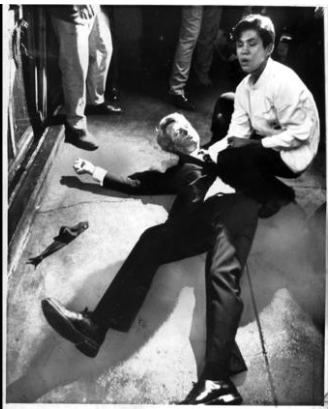 The busboy who cradled a dying RFK has finally stepped out of the past. 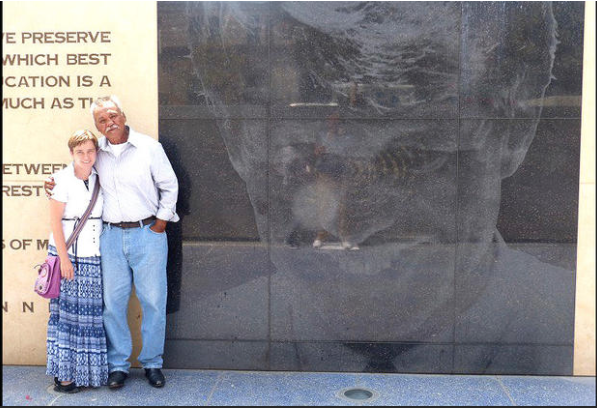 Juan Romero and Claudia Zwiener visit the RFK memorial at the former site of the Ambassador Hotel. Zwiener is a German citizen who became friends with Romero and helped him work through his feelings about the assassination.